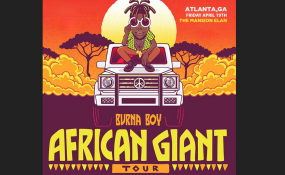 Burna Boy is gearing up for his "African Giant" tour. 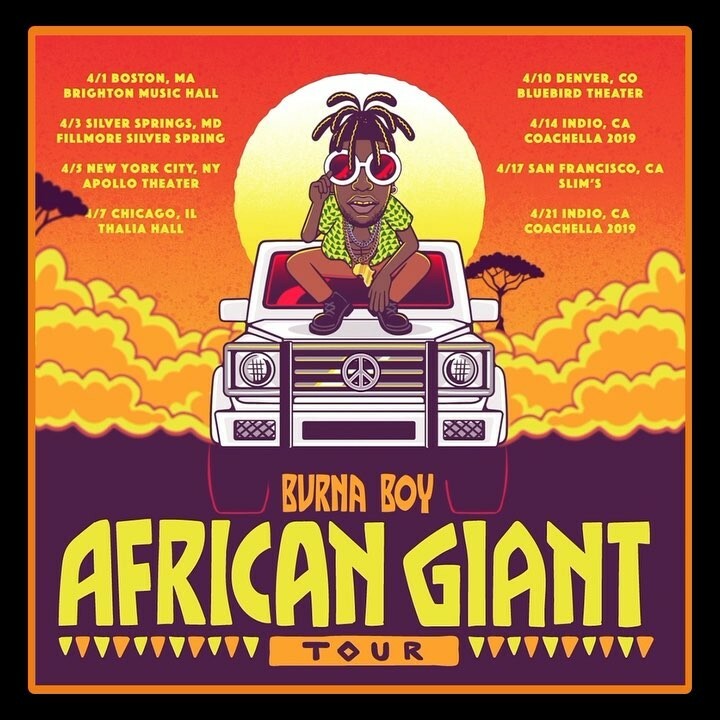 Burna Boy is gearing up for his "African Giant" tour and it has an exciting lineup. A couple of months ago, it was announced that Burna Boy will be performing at Coachella 2019 and the music star called out the organizers for putting his name in small print. He rightly stated that he's an "African Giant", hence, the name of his 2019 tour. Burna Boy joins an impressive list of artists who have performed at the theatre, including Aretha Franklin, James Brown, Michael Jackson, The Supremes, Stevie Wonder, Marvin Gaye, Elton John, Smokey Robinson, Gladys Knight, The Pips, The Jacksons, Quincy Jones, Chaka Khan, Patti LaBelle, D'Angelo and Prince. See the full list of his tour .